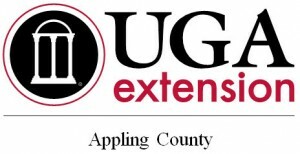 2015 UGA Extension production meetings and other upcoming meetings. Appling County Poultry Production Meeting February 18 Sarah’s in the City 12 noon. Pine Straw and Forestry Herbicide Meeting February 24 Appling County Farm Bureau 6:30 PM. Call 912-367-8130 by February 20 if you plan to attend.